The bearded old man's ready to ring out the old, but before he does that let's take a look at some of the most intriguing technological toys to have crossed our virtual threshold in 2010. These are the most interesting, unique, or fun things that I actually put my grubby little hands on in calendar year 2010 and they range from iPhone apps to heated outerwear and many things in between. Let's get the apps out of the way first. There are about a googolplex of such apps available already with more coming all the time. And that doesn't even cover the Android and other platform apps! My favorite apps of the year were for phoning home or for listening to radio on your iPhone: the Skype app and the LIVIO Internet Radio and SIRIUS Satellite apps. 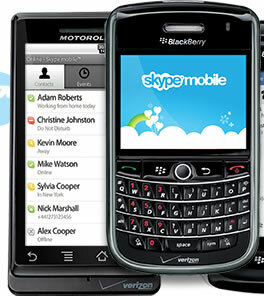 The Skype app is a great way to phone home without roaming or long distance charges, depending on your account. I have a paid account with Skype that lets me phone any landline or cell phone in North America for a yearly pittance and the iPhone app works almost like the phone itself does, with good sound quality as well. I save it for when I'm in free Wi-Fi zones and use it to phone home (or wherever) for basically free. It's great for when I'm on business trips and can't wait for a similar app for my Android. Well, they have one, but it doesn't work with my phone and doesn't that just figure. 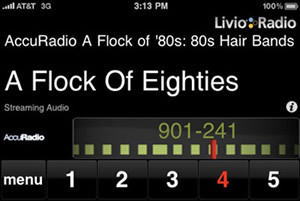 The LIVIO app is a wonderful tool for either the iPhone or iPod Touch because it lets you listen to more than 42,000 AM/FM and Internet-only radio streams from around the world. The app accesses the wide world of radio either through a Wi-Fi or 3G/Edge connection and looks and works just like a car radio, with six big preset buttons into which you can store your most often accessed stations. Its directory can be organized by location, genre, language and even (in many cases) by the show or host's name. You can find local station based on your GPS location and if you come across a station your little friends might like, you can share the info via Twitter or email. I love this app. I also love the SIRIUS Satellite radio app, which brings most of the satellite provider's offerings to the iPhone or Android, adding marvelous flexibility to the service. If your SIRIUS account is for a car-based system, for example, you can use your iPhone to bring satellite service to your home, via your iPod speaker dock. And if your account is home-based and your iPhone will interface with your car stereo, you can take SIRIUS on the road with you. You'll need data service for that, though. The downside is that not all SIRIUS offerings are available via the app, but some 100 channels are. Then there's Mountain Hardwear's line of Ardica-enabled winter clothing. Living as I do in the foothills of the Rocky Mountains, we get treated to some pretty interesting – and cold – winter weather, which made for a compelling test of this product, which features a pocket in the yoke into which slips the Ardica battery pack/warming unit that connects to heating circuitry inside the jacket. And it actually keeps you warm and comfy when Old Person Winter comes a-calling! You can adjust the temperature, too, thanks to a little button on the chest that's reminiscent of the communicators they had on Star Trek: The Next Generation. It also provides USB power and re-charging capacity for handheld electronics, stuff that loses power more quickly when it's cold. The Ohm Bicycle is another outdoorsy thing the idea of which would normally rub this sedentary dude the wrong way – except that it was just so darn cool. OHM makes premium power-assisted bicycles with the patented "BionX" torque sensor, which the company says responds automatically to the way the rider pedals to provide a smooth, natural sensation – even, supposedly compensating if one of your legs is pedaling more strongly than the other. In practice, it's kind of like a hybrid car, in that an electric motor augments your normal power (in this case, your legs rather than a gasoline engine). What I liked most was that when I got tired of pedaling, or had to pedal up a hill, I could push a little lever on the handlebars that fires up the electric motor and turns the bike into a mini-motorbike. It's a bicycle for lazy people! Bannco's FRAGnSTEIN was my favorite gaming thingy of the year. It's a two piece controller that helps make PC gamers comfortable using consoles such as the PS3. As a casual gamer who cut his teeth on various computer platforms over the decades, and as a klutz, I have trouble with the multitude of buttons mounted all over the normal PS3 controller. Couple that with my need to wear reading glasses to differentiate which button is which – let alone having to remember which one to use at any particular time – and I tend to die quickly and "virtually" painfully. The FRAGnStein consists of three parts: a mouse, a control stick, and a USB receiver (the latter of which means it can also be installed on a regular PC). The mouse part is like most PC gaming mice, with two buttons, a scroll wheel (that also tilts left and right), and four thumb buttons that match the 4 'shape' buttons (X, square, triangle, circle) on the PS3 controller. The control stick is a small, wand-like controller with a round analog direction stick near the top and a four button "d-pad" below it and two buttons on the end for your index finger. Between them, you can control your game much like you would on your PC. 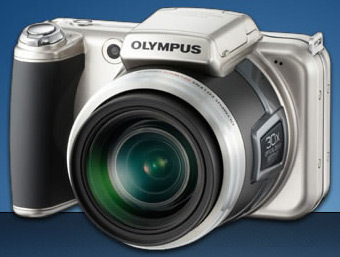 I was also enamored with the Olympus SP-800UZ digital camera, which can be point and shoot easy yet also offers a lot of flexibility, including 720p video capability. I used the latter at the Edmonton Indy to shoot the start, pit stops, and the like, and the quality on playback was very good. The SP-800UZ slim enough that, were it not for its large lens, it would nearly fit into a shirt pocket. That lens is there for a reason: 30x optical zoom capability, which works very well. There's also pretty good image stabilization built in and, at 14 megapixels, you can get very fine (or very large) pictures. The camera has a really nice, simple interface and rather than throwing icons at you and expecting you to understand them, Olympus includes a little description of each function right on the screen, a very nice touch. As far as audio goes, Bowers and Wilkins walks away with my "Most Interesting Speakers" mention for both its P5 headphones and MM-1 multimedia speakers. The $300 P5 "concert for one" headphones have excellent sound and they're not only light and attractive, but B&W includes two cables so you can exploit the iPod/iPhone's capabilities and also use them with other types of music players. I've used them both with my iPhone and Android phone and, while they certainly aren't as subtle as ear bud-type phones and may get you strange looks from passersby, they're worth it. 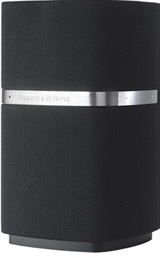 So, too, are the MM-1's, which Bowers and Wilkins calls "true hi-fi speakers, shrunk to fit on your desktop." The sound is clean and lifelike, so much so that I can tell the difference between a very compressed signal from a cleaner one and if it's clean it sometimes sounds almost as if I'm in the studio with them. They're also great for if you're mixing or creating your own music on your PC and put out surprisingly good bass considering there's no subwoofer unit required. 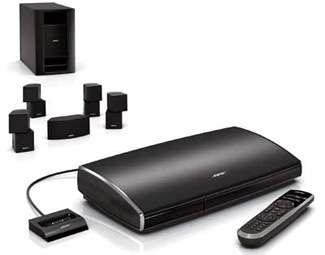 I must also mention the Bose V35 Lifestyle system which, while not cheap ($3000), offers "home theater in a box" convenience with better sound than you might expect from the concept. It's a complete 5.1 system that connects your high definition stuff via HDMI.It's also incredibly easy to hook up and to set up, right down to having proprietary speaker cable ends that prevent you from connecting your system out of phase. Sure, it's a decent chunk of change for a HTIAB, but once you crank it up to about 40 or more on its volume scale, it'll reward your ears. And it comes with a nearly universal control. That's my list, checked twice, for the "Most Interesting" pieces of technology that I actually tried in 2010. None of it will cure cancer or bring world peace, but depending on your needs it could make your life a little more pleasant or a little easier. Now it's off to the Consumer Electronics Show in January to see what to expect in 2011!